Castleford is in West Yorkshire in northern England. It has a population of around 40,000 and range of affordable housing, perfect for first time buyers or if you’re looking to snap up a bargain. At My Home Move Conveyancing we’ve been developing our knowledge of the local market in Castleford since 2001, allowing us to bring a specialist, fixed fee conveyancing service to our clients in the area. When buying or selling property in Castleford, you need to instruct property lawyers to carry out the legal work on your behalf. 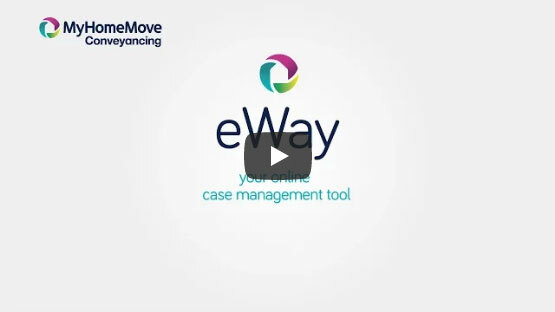 My Home Move Conveyancing offers our clients in the Castleford area an award winning level of customer service, innovative use of technology and intimate knowledge of the local market. Our fixed fee conveyancing service comes with no hidden extra costs to worry about, so when you choose us to be your Castleford conveyancers, you can budget for exactly how much you’re going to pay from the start. For extra peace of mind, if you don’t end up completing, then you won’t have to pay us a thing in legal fees. We’ll assign you a dedicated conveyancer, who will take care of all aspects of your case from the start right through to completion, providing you with a consistent point of contact and regular, easy to understand updates. At My Home Move Conveyancing we’ve assisted many homebuyers with our conveyancing services in Castleford, from those looking for something in the town centre to neighbourhoods such as Hightown, Glasshoughton and Cutsyke. The average house price in West Yorkshire is £146,396, while in Castleford the overall average sale price over the last year was £128,471. Terraced properties were most popular in terms of volume of sales, going for an average of £107,999. Semis fetched £126,520, while detached properties sold for £196,845. Castleford is built on the site of an ancient Roman settlement, with the River Calder joining the River Aire to the north of town. The modern town has plenty of modern amenities, and has seen lots of economic growth over recent years. The Xscape Leisure Complex is a highlight of the town, which has a great indoor ski slope which used to be the biggest in the country. The town has a great location within Yorkshire, just over ten miles southeast of Leeds. Trains to the city take just 20 minutes, while Wakefield can be reach in just ten minutes. The M62 motorway passes to the south of Castleford, linking the town to Leeds, Manchester and Liverpool, as well as the northeast coast and the M1. If you’re looking for some good schools to send your children to, there are some excellent options in the local area. Castleford Three Lane Ends Primary, Lady E Hastings CofE and Allerton Bywater Primary are among the choices for younger children, while Brigshaw High, Airdale Academy and Castleford Academy on Ferrybridge Road are among the options at secondary level. All properties in Castleford will fall within one of the following council tax bands.